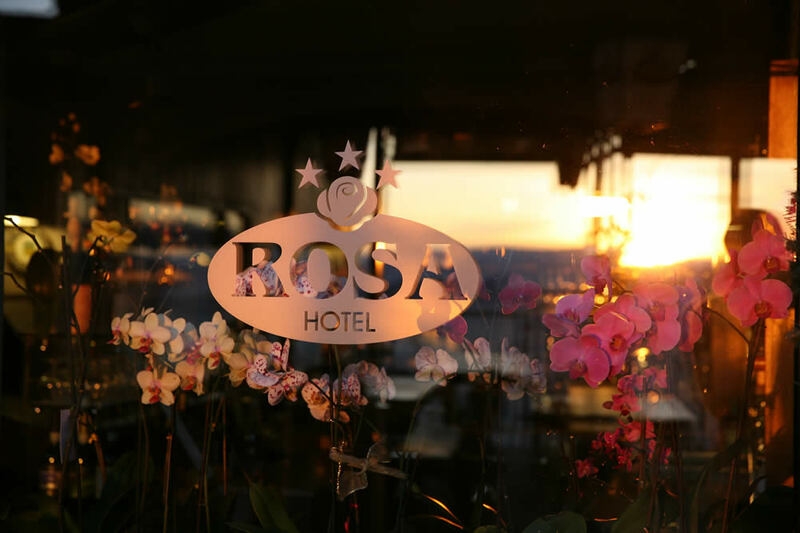 Rosa Hotel is the only hotel with private parking in the historic centre of San Marino. It provides covered or outdoor parking spaces: a handy, practical and safe solution for those arriving by car or motorbike. Bear in mind that San Marino’s historic centre, from 9 am to 7 pm, is a limited traffic zone, therefore it is necessary to collect a paper pass at the Hotel’s reception desk and communicate your vehicle registration number at least two days before your arrival (unless you have made a last-minute reservation in which case it shall be communicated at the time of the booking) to reach the hotel’s private parking. To collect the paper pass, just park your car at parking n. 6 and reach the Hotel lying just 100 meters away. 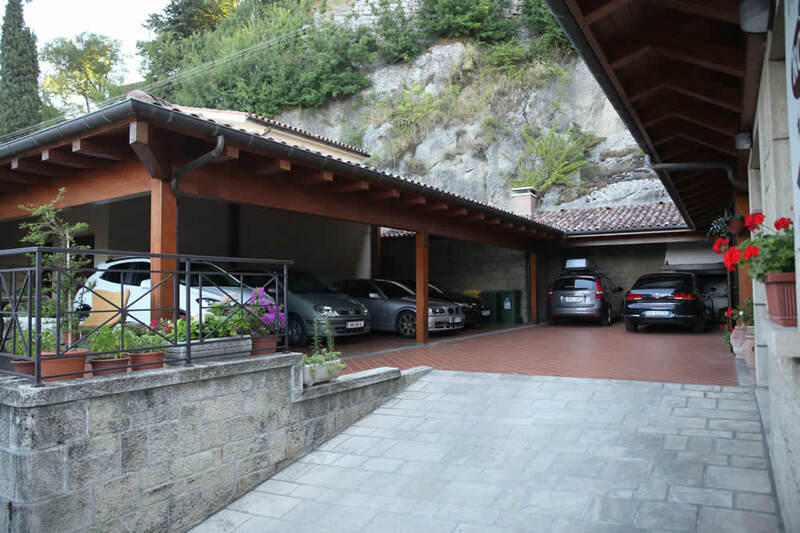 Alternatively, only 100 meters away from the hotel, rise two large public car parks with external parking spaces, P6 and P7 where you can leave you car taking advantage of a discounted rate of € 4,00 per day. Book via our website, e-mail or phone, you will get a free parking space! 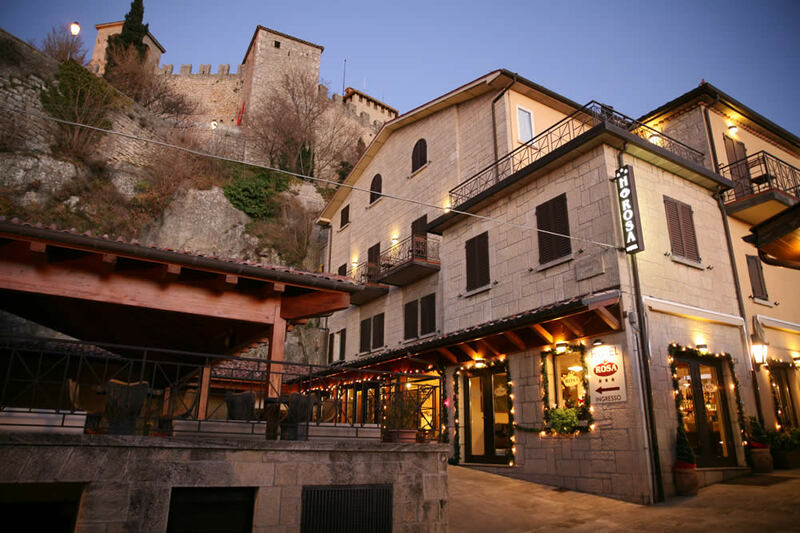 - to transit within the Historic Centre, visitors must collect a paper pass at the Hotel’s reception desk. To collect the pass, just stop at parking n.6 and reach the Hotel lying only 100 meters away (right past the Wax Museum). - The Hotel’s private parking can be reached at any time following the above directions, unless special events, road closure orders and/or Police’s special indications. Should reaching the Hotel’s parking not be possible between 9 am and 7 pm for any reason not ascribable to our property, Rosa Hotel will give you a valid ticket to park your car in a public parking area in San Marino (which, alternatively, would cost € 4,00) and you will be able to reach the Hotel’s parking after 7 pm.